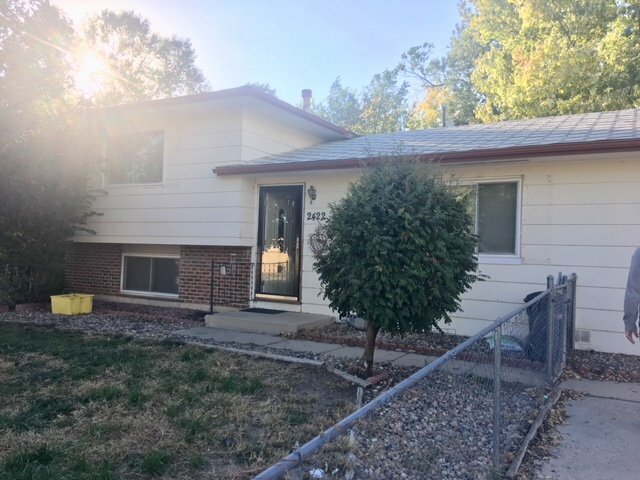 If you have been searching online and wondering who will buy your house quickly in Colorado Springs then you might be interested in learning about our professional home buying program that can purchase your property fast in as little as seven days with our own cash. All of our funding is private, and there are no real estate agents involved, which means no commissions or listing fees on the sale at all. If you are ready to sell your Colorado house now and you want to get an instant cash offer, then please give us a call or text right now at (719) 286-0053 and one of our home buying specialists will talk over your different options that are available through our program, and then you can decide for yourself ultimately what you’d like to do. How We Buy Houses In Colorado Works? We buy houses in bad condition in as little as seven days, and there are no fees or costs involved on your end whatsoever. The best thing about dealing with a professional home buyer such as us is that we use our own cash when purchasing homes in Colorado Springs and the surrounding area, so there is no delay while financing is approved, or loan application deadlines that need to be calculated and factored in…there’s none of that when you sell directly to an investor…just a painless, simple, cash transaction that puts you in the driver’s seat as far as closing time frames and terms. Selling your home to a real estate investor can provide you with the alternative option that you need to sell your home fast without any delay, and for cash! Get an instant quote on your Colorado Springs house right now at (719) 286-0053 via call or text and sell your house in 7 days, cash! Who Should Sell To A We Buy Houses Investor? People going through foreclosure. If you are going through foreclosure or pre-foreclosure, then you are in a situation where you need to sell your house quickly without any further delays. This is why selling to an investor is such a great option for people facing foreclosure…because investors pay cash and are able to close quickly, the seller can avoid the foreclosure 90% of the time, as long as there is at least 7 days before the scheduled auction date…Don’t wait…call or text now at (719) 286-0053 to get an instant cash offer. People relocating or moving out of state. A lot of times, people who are relocating for work and moving out of state are often motivated enough to want to sell off their property quickly for cash without having to deal with the standard process of listing with an agent and waiting around for months while the property sells. If you are ready to simply leave state and cut ties with all of your properties, then give us a call or text today to get an instant cash offer on your property. People who have recently inherited property. If you have recently inherited some property, then you are likely in a position where you would like to sell it quickly for cash without having to go through the complicated and drawn out process of listing it with a real estate agent on the open market, showing it, taking offers, and then waiting around for inspections and financing to get approved. If you would much rather sell your inherited property for quick cash then give us a call or text today for a free quote. People with bad tenants. If you have a rental property that has been giving you a lot of stress, then you may want to consider getting a cash offer from an investor just to weigh your options to see if it might be worth it to part with the headache of dealing with this problem tenant every single month on a reoccurring basis. Anyone who who wants to sell fast. Basically our home buying services are designed to streamline the home selling process for anyone who is in a situation where they would prefer to sell their property quickly without any fees, hassles, or problems whatsoever. If you are ready to sell your COS house fast for quick cash and are ready to take the next step and get a risk free, no obligation, fair cash offer on your property right now then please give us a call or text right now at (719) 286-0053 and someone from our home buying team will analyze your situation and property to determine exactly how much cash we can afford to pay for it, and let you know verbally over the phone or electronically through email. We can also do electronic closings through email these days thanks to technologies such as docusign and others. You still have to get some documents notarized at a local bank or UPS store, but at least the process is somewhat streamlined…These are referred to as “mail out closings” and the title company will mail the documents to your house 48 hours prior to the date of the closing and you will have to take the warranty deed to get notarized, and the rest of the documents can be signed electronically on the day of closing. If you decide that you would like to move forward with our company, then the next step in the process is to sign the appropriate contracts and get them over to a local title company, who will then perform a title commitment report to check for any liens, and they will also set the date and time for the closing, and ensure that any liens are paid prior to the transfer of title. We as the professional home buying company cover 100% of the closing costs during every single real estate transaction that we participate in as a courtesy to our customers. We appreciate your business, and this is our little way of saying thank you for choosing us to sell your property to. We know there are a lot of other investors out there on the market that would love to buy your home, so we appreciate the fact that you chose to sell your property to us…it means something. If you want to find the best cash for homes program in Colorado Springs then give us a call or text right now at (719) 286-0053 or simply fill out the form below to get a fair cash offer on your property today.